The film is scheduled to open nationwide in 12 markets and on demand nationally on all platforms on September 16. Back in the day, most of us had a Compaq computer as our first portable PC. This is the true story of the three young men who created COMPAQ computers as an idea formed in a little restaurant to give computer giant IBM a run for their money. SILICON COWBOYS explores the remarkable story of Compaq’s rise and eventual demise - an unlikely upstart who altered the future of computing and helped shape the world as we know it today. Directed by Academy Award®-nominated director Jason Cohen, the film offers an insider's look into the explosive rise of the 1980's PC industry and is a refreshing alternative to the familiar narratives of Jobs, Gates, and Zuckerberg. Launched in 1981 by three friends in a Houston diner, Compaq Computer set out to build a portable PC to take on IBM, the world’s most powerful tech company. Many companies had tried cloning the industry leader’s code, only to be trounced by IBM and its high-priced lawyers. SILICON COWBOYS explores the remarkable David vs. Goliath story, and eventual demise, of Compaq, an unlikely upstart who altered the future of computing and helped shape the world as we know it today. Directed by Academy Award®-nominated director Jason Cohen and produced by Ross M. Dinerstein (JIRO DREAMS OF SUSHI) and Glen Zipper (Academy Award®-winning UNDEFEATED), the film offers an insider's look into the explosive rise of the 1980's PC industry and is a refreshing alternative to the familiar narratives of Jobs, Gates, and Zuckerberg. 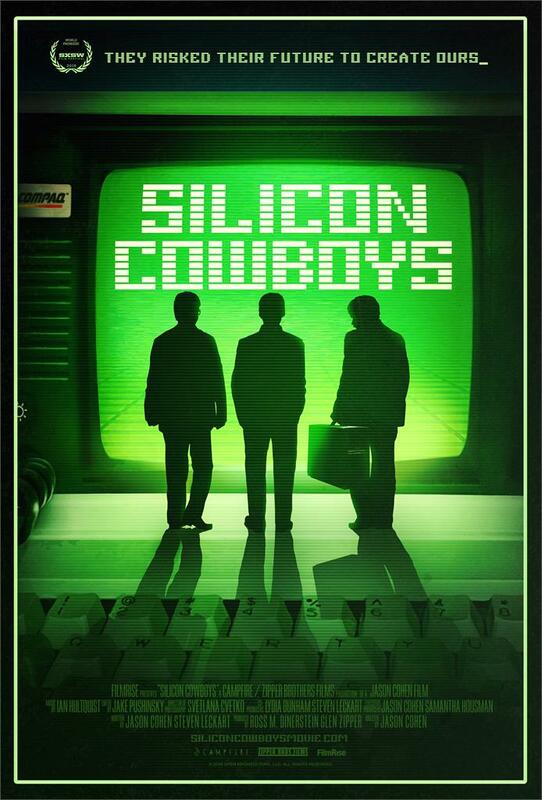 SILICON COWBOYS features interviews with Compaq founders Rod Canion, Jim Harris, Bill Murto as well as Alec Berg, Executive Producer of HBO’s “Silicon Valley,” and Chris Cantwell, co-creator of AMC’s “Halt and Catch Fire.